CHAMPIONS League final which resulted in several moments of football history, not least for their three-time winning coach, ended on Saturday with Zinedine Zidane fending off questions about the future of his two most famous players. 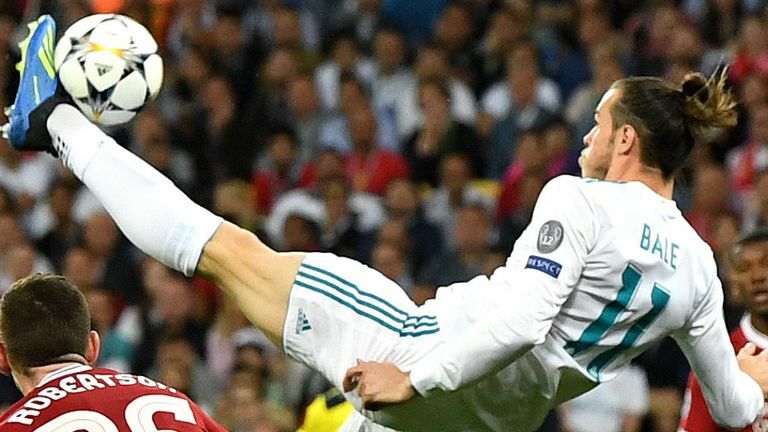 Gareth Bale’s match-winning heroics were overshadowed by post-match comments from the Welshman and the Champions League’s first-ever five-time champion, Cristiano Ronaldo. On the pitch, Real Madrid were on the ropes for much of the first half as Liverpool stormed at them from the start until the loss of their Footballer of the Year Mo Salah. Thereafter, Madrid grew in strength. Karim Benzema had a goal disallowed for offside shortly before half-time and Isco shot against the bar moments later. Yet for all their growing dominance, it took a moment of farce to open the scoring as having collected a straightforward through pass ahead of Benzema, Liverpool goalkeeper Loris Karius in his haste threw the ball against the French forward and saw the ball trickle into his own net. Liverpool’s reply was instant as Sadio Mane poked home from close range after Dejan Lovren headed down a right-wing corner. But the game was put out of their reach by Bale, who replaced Isco shortly after Liverpool’s equaliser. His first goal was one for the ages, a pirouetting bicycle kick which stunned a raucous stadium into momentary silence. Bale said afterwards: “On the biggest occasion, on the biggest stage in world football, to score a goal like that is obviously a dream come true. Zidane joined the pantheon of managerial greats by matching Bob Paisley and his former boss Carlo Ancelotti in winning three Champions League titles, the first-ever to achieve that feat with one club, but spent most of his press conference dealing with inquiries about Cristiano Ronaldo’s cryptic post-match comments, in which the five-time winner said he would soon make an announcement about his future at the club.